It was summer Sunday, streets mostly empty, curbsides surrendered to sun-glint. I had just moved back to New York after a year away. Exhausted from unloading boxes and retraining subway legs and feeling unsure about the job I was beginning the next morning, I was awake and out in a weekend AM following a friend’s recommendation to a church far from my Brooklyn apartment. And when I slid into a pew and looked down at the bulletin, there on the cover was Mary Oliver’s poem, “The Summer Day.” This brief meditation on nature and our place in it and the fragility and promise of our lives (here’s a link so you can discover it yourself) seemed both blessing and calling as I sat at the uncertain threshold of change. 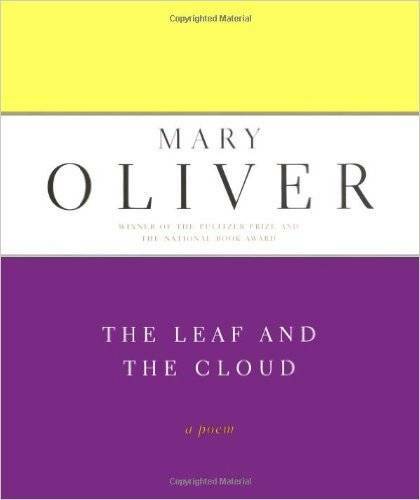 Judging by a quick Google search, I’m not alone in having what I’ll call “A Mary Oliver Moment.” The internet is littered with nature photos underscored by an Oliver poem. A good friend of mine had her Mary Oliver Moment the summer after her divorce, on a backwoods trip with family and friends discovering inside an abandoned school bus a stack of carefully-crafted, hand-printed cutouts of Oliver’s “When I am Among Trees” (link). The poem’s message of confirmation–you can and must make your own unique, shining path through this life–secured it a permanent spot on her refrigerator, just as “The Summer Day” is now tacked to my front door for every morning when I head out. In recognition of one of my favorite poets, here’s a quick look at three (plus) Oliver books for this week’s Buy, Borrow, Bypass. 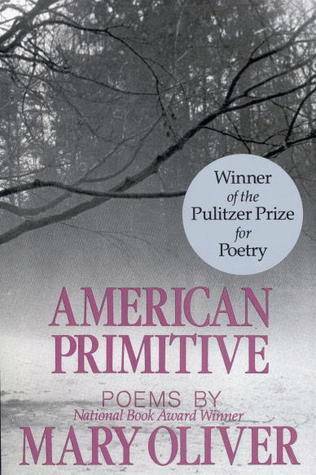 BUY AND BYPASS: A Poetry Handbook (1994) and Rules for the Dance (1998)—OK, here’s the moment in the post where I suggest the perfunctory bypass of a Mary Oliver book (not my favorite moment). But if you’re a general reader or beginning writer looking for an easy-reading but still substantial, instructive introductory guide to poetry, buy A Poetry Handbook and bypass Rules for the Dance. Handbook is full of one of Oliver’s major themes: The Call to Language. Oliver writes that “literature is the apparatus through which the world tries to keep intact its important ideas and feelings” and calls poetry “a life-cherishing force.” Handbook includes an overview of poetic elements: sound devices, lineation, forms, diction, tone, voice, and imagery along with discussions of the practice of writing. Everywhere Oliver honors poetic design, a focus on the particular (as opposed to the general), and the “urgent wakefulness” of language. While Handbook is more poetry introduction, Rules for the Dance focuses wholly on metrical verse and is a fine read, though for those seeking to engage more deeply in poetic lineation and sound I would recommend James Longenbach’s The Art of the Poetic Line. and the responsibilities of your life. Scatter your flowers over the graves, and walk away. Be good-natured and untidy in your exuberance. In the glare of your mind, be modest. And beholden to what is tactile, and thrilling. And find a friend or a library and borrow The Leaf and the Cloud, which isn’t quite my favorite Oliver but still full of moments like the above. And like Oliver’s poems, honor the gift—intricate physical mechanism and unique-in-all-the-world’s-long-history convergence of imagination and experience—the life to which you give voice.